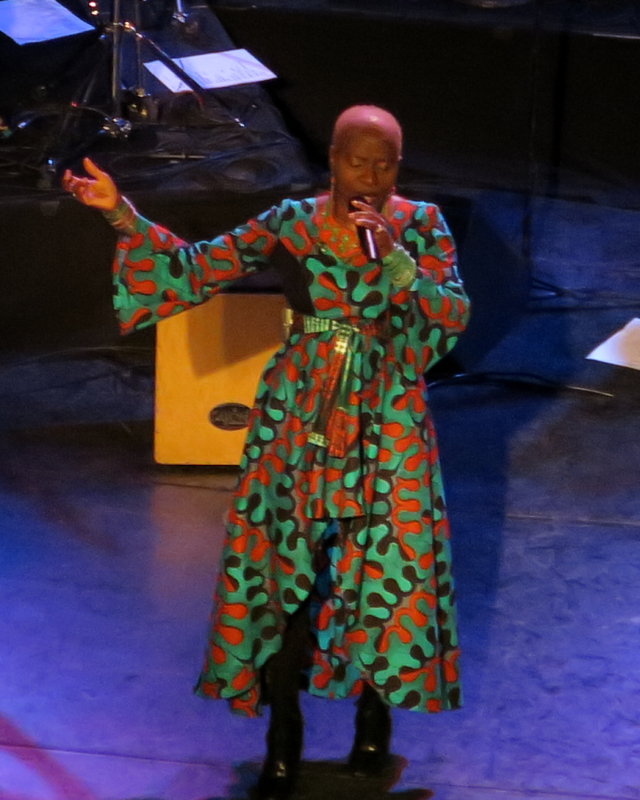 Angélique Kidjo is not merely a musician; she speaks, through her music, in support of education for African girls – and for girls throughout the world. 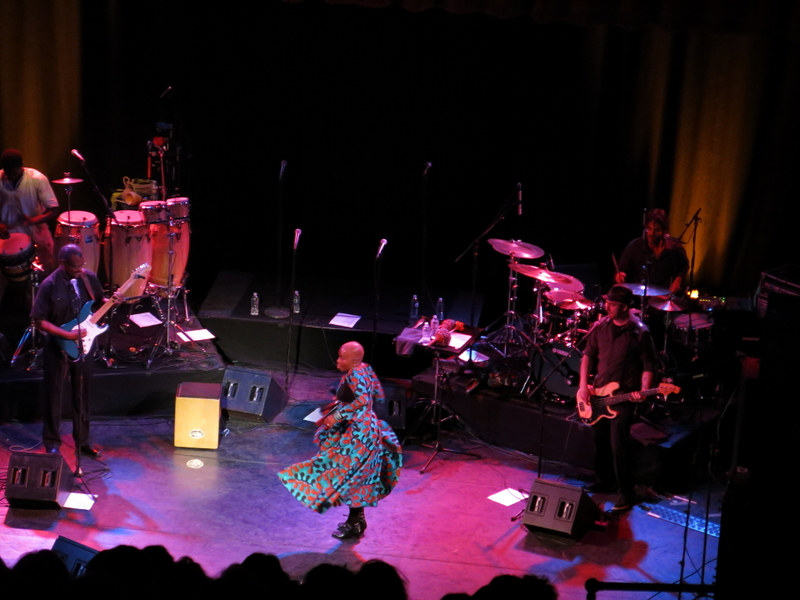 What a terrific show Angélique gave us at the Somerville Theatre last Sunday night! Her passion shone through every note she sang and every dance step she took. From the moment she stepped onto the stage moments after her band started playing, she had the full attention of the audience. Angélique’s style is mesmerizing. She swirled and twirled across the stage, dancing and singing as if she were in her own home and we were her family instead of a sold-out audience of strangers. Angélique’s current passion is the education of women in Africa and the expression of female empowerment. She is touring in support of her new album, “Eve”, which is named for her mother as well as the biblical mother. 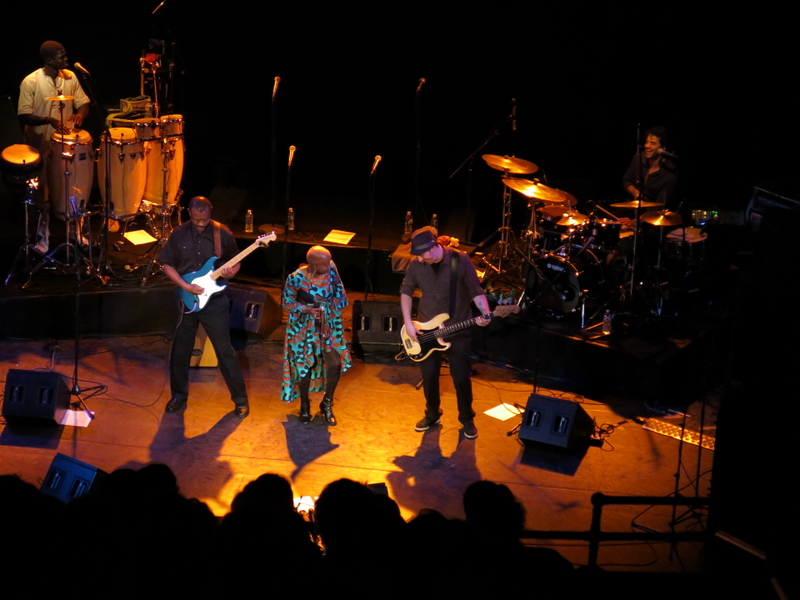 She is supported by a terrific band – Dominic James on guitar, Daniel Freedman on drums, Magatte Sow on percussion, and Ben Zwenn on bass. 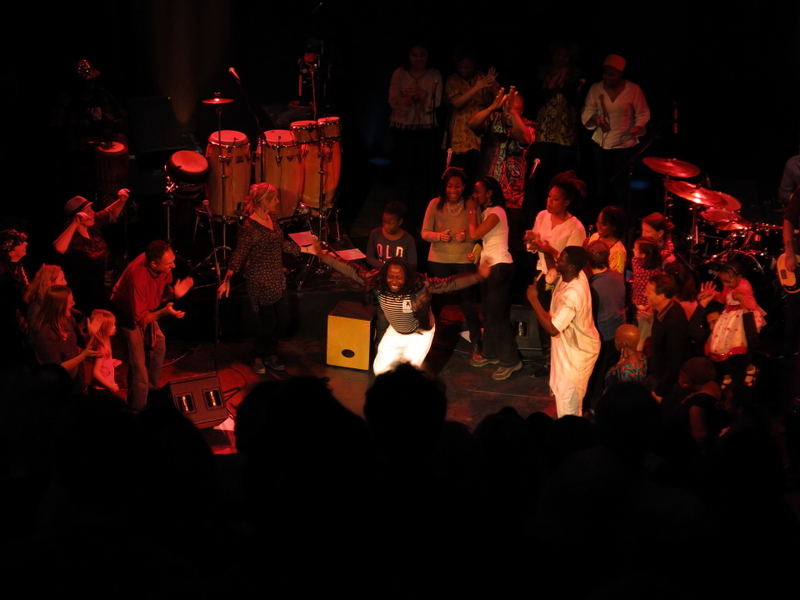 In addition, the Kuumunity Collaboration Singers were brought on stage for several numbers to provide backup vocals; they are a group of six women who sang beautifully. 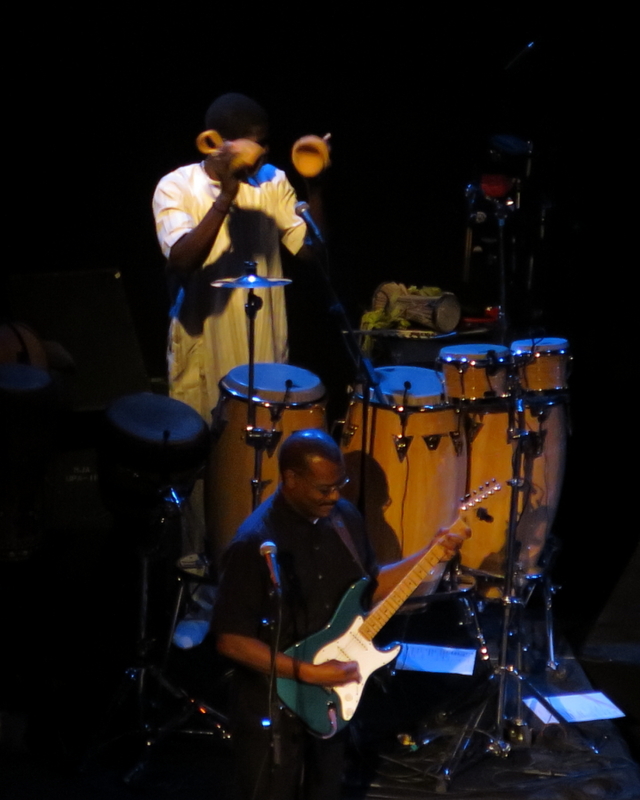 Even though I could not understand most of the lyrics, some of which were Swahili, I had a strong sense of her inclusiveness. She did not necessarily explain the songs, but I felt that she speaks to and for all women. 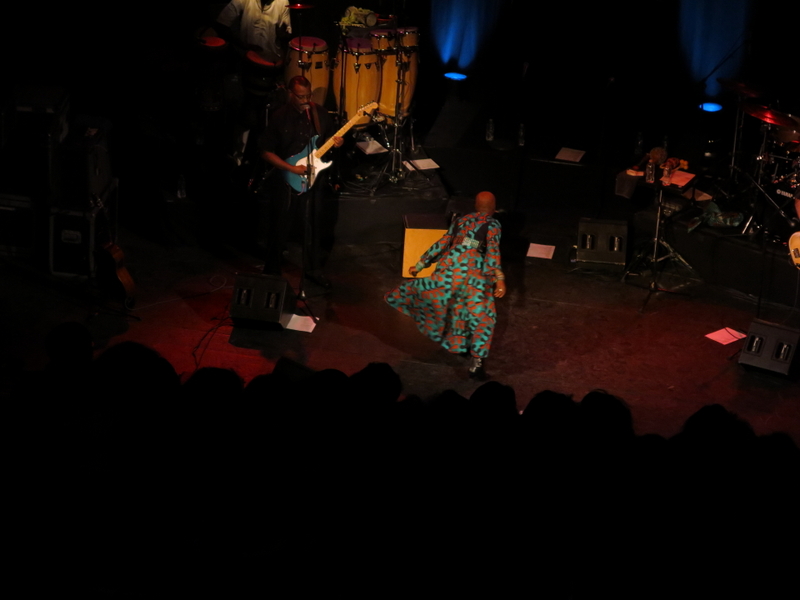 Three of the songs she sang, “Pata Pata”, “Redemption Song”, and the James Brown song “Cold Sweat”, were very familiar to me and I loved her renditions of them. 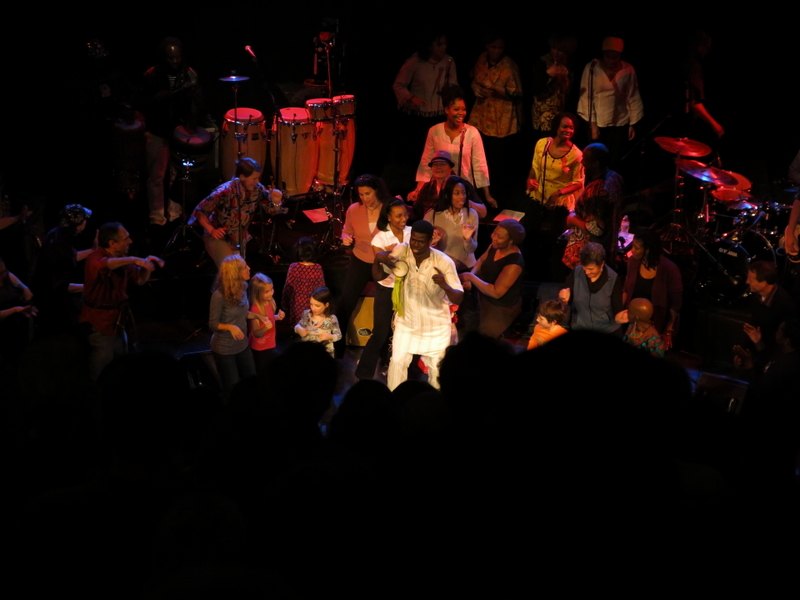 For the last song of her set, Angélique invited about twenty members of the audience to come and dance with her. There were a number of children and she seemed to pay special attention to them while the adults each did about 15 seconds of solo dancing at center stage. It was a great audience participation moment. 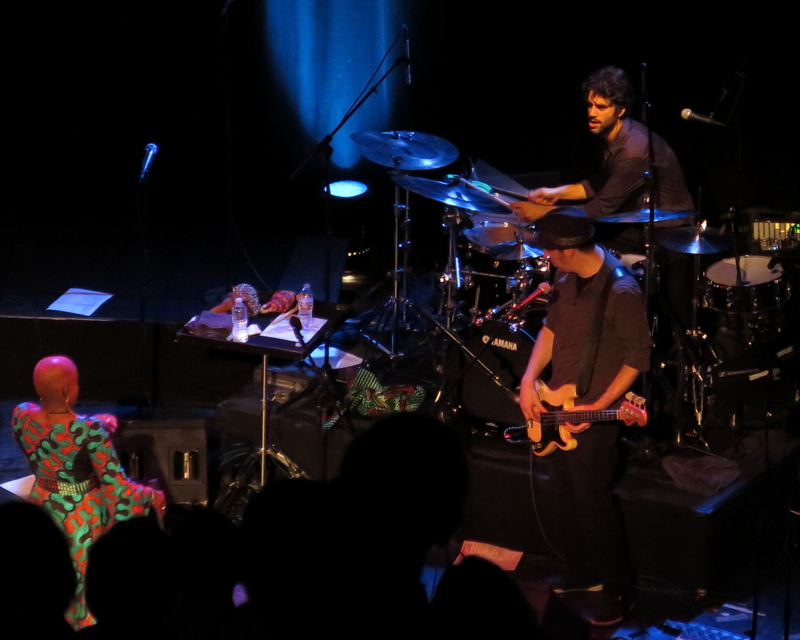 I don’t know how often she tours – the show we saw was the last of her North American tour – but I would recommend seeing her when she next appears anywhere near you. I will be seeing her again, I know. 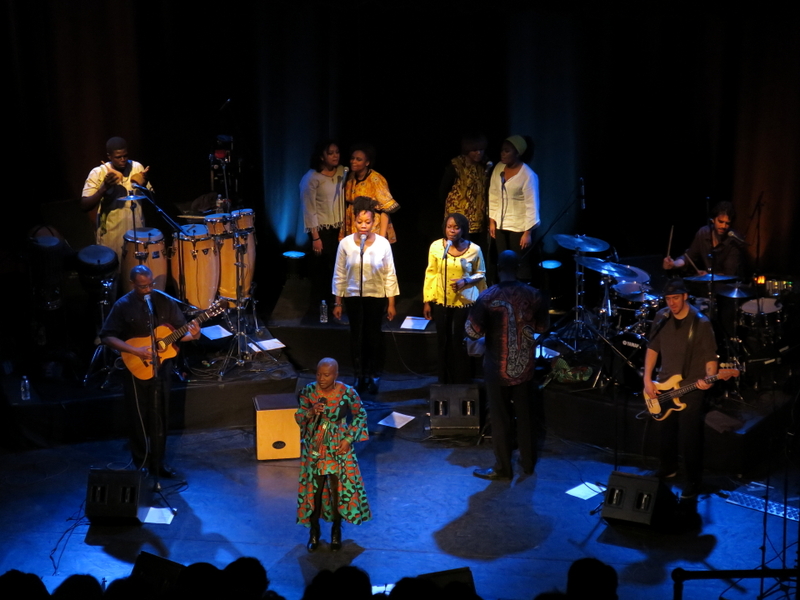 Posted on February 25, 2014, in concert reviews, music, Uncategorized and tagged African music, Angelique Kidjo, Ben Zwenn, Benin, boston, concert review, Daniel Freedman, Dominic James, Magatte Sow, music, Somerville Theatre. Bookmark the permalink. Leave a comment.